Australian’s are famous beach-lovers, so trying to pick the best beaches in the world is always going to be a controversial list. There is no way there can be a universal list as everyone has different tastes. Having got that disclaimer out of the way, we couldn’t help but try to make a list of our own. If you are dreaming of a beach break, then one of the best ways to get there sooner is to join flybuys and make your booking using their flagship travel service – flybuys travel. Once you’ve joined flybuys, you can quickly begin collecting flybuys points from any number of everyday purchases, points which in turn can be used to help pay for the cost of future travels. flybuys travel prices are as good or better than other travel agents, and the best parts are that not only will you collect flybuys points on every booking, there are also no booking fees. Here are some beaches around the world to consider. To counter our own personal biases we’ve made a global list featuring beaches with different attributes. 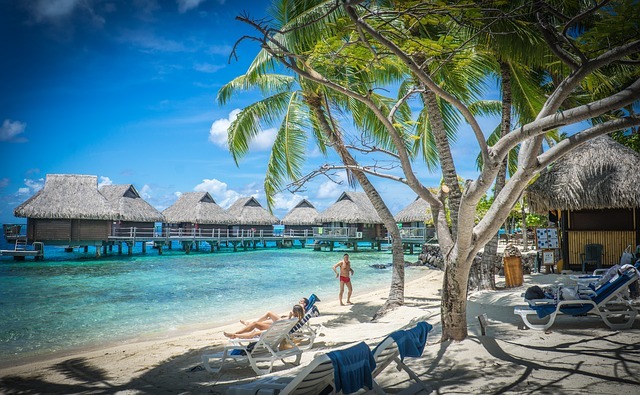 If you dream of golden sunsets, turquoise waters, and calm beaches, then try Matira Beach in Tahiti. The warm white sand is everything you hoped a tropical beach to be. The view inland is picturesque – a lining of palm trees and green hillsides. Back on the beach, you have got soft sand to rest, sunbathe or play on. Things to do here include swimming and snorkeling. It’s so beautiful and well-kept that you’ll feel like double-checking to make sure you haven’t strayed onto a private beach. Do not fear, it is free and open to the public. The Greek island of Santorini is what remains after the centre of a massive island sunk under water, leaving behind a geographically fascinating place. Travellers associate Santorini with luxury cruises, prehistoric museums, and ancient volcanoes. 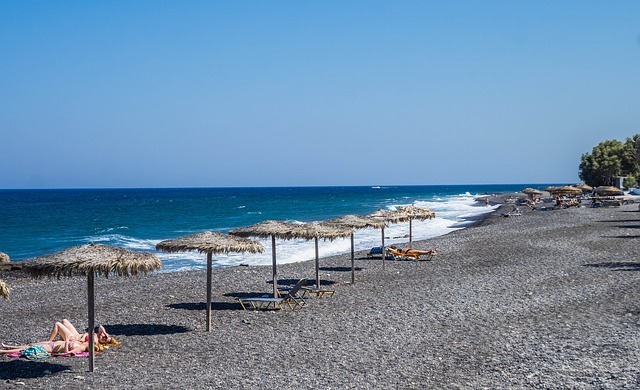 There is also the unusual Kamari beach, which is made of black sand from volcanic eruptions. That’s not the most unique thing however. Standing out the most is the extraordinary view of the nearby hills and the massive Mesa Vouno – a rock that rises from the waters and which has an eerily haunting glow after dark. While El Nido is Spanish for a hiding place, this gateway of adventure is indeed unknown to many. Locals and seasoned travelers have dubbed it the last frontier of the Philippine islands. The Palawan beach is a blissful natural setting of clear waters and super soft sand. 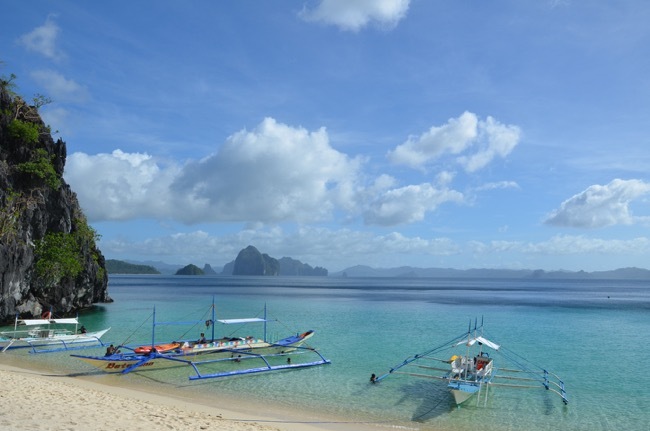 Stunning views abound, but what sets the El Nido Palawan beach apart from the rest are the 50 plus species of corals that attract dozens of sea creatures. Under the water it’s a miniature world that snorkelers will find fascinating. Adventurers can also wander off to ancient caves and waterfalls that are just a stones throw away from the beach. Who says beautiful beaches have to be tropical? 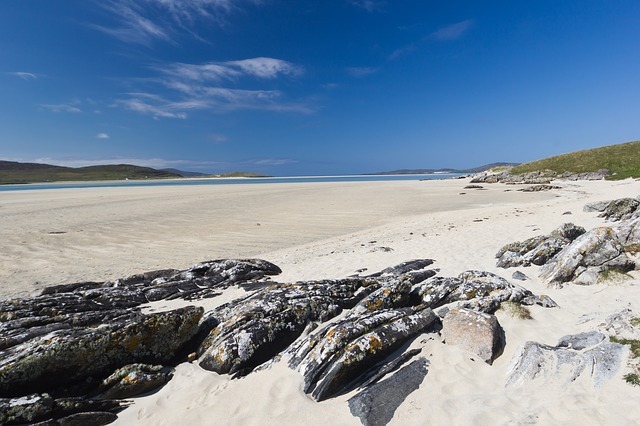 When the sun is out here (which we admit isn’t that often), Luskentyre Beach is up there with the best. Wherever you are along the beach, you will be greeted by an OMG feeling as the magic of this unique coastline unfolds before your eyes. On a beautiful sunny day you can lay down and forget your troubles, press pause on life and enjoy some me time. For the rest of the year enjoy simply walking along the beach while taking in the magnificent views of the hills, vivid colours of the sea, and the steady rhythms of the crashing waves. You haven’t traveled the world if you haven’t gone to Africa. Rounding up our list of the best beaches in the world is Boulders beach on the Cape Town coastline. 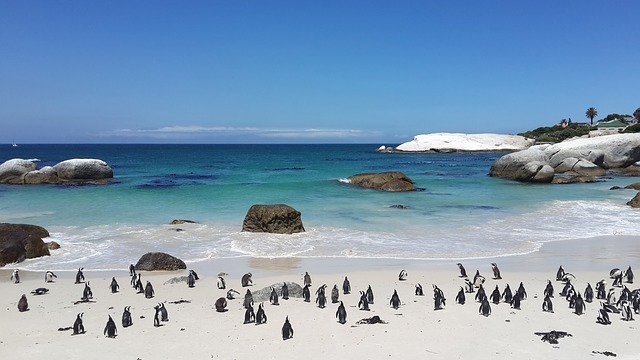 Surrounded by big granite boulders and carpeted in soft white sand, this pristine habitat is home to more than 3,000 birds including African Penguins that can be viewed from a series of wooden walkways. There are of course countless great beaches out there, but we took a path off the beaten track to explore the little explored. Check out these and a host of other beach destinations at flybuys travel, and be alert for promotions, where you can often collect up to 25x points on a variety of travel options. flybuys travel won the 2018 National Travel Industry Award for “Best Online Travel Agency”, so you can be assured of getting top-quality products and service. Make the most of your free flybuys membership by booking at www.flybuystravel.com.au.